Autophagy initiates with formation of the isolation membrane (phagophore), which engulfs cytoplasmic content and forms the autophagosome. Autophagy-related (ATG) proteins, such as ATG2A, regulate the membrane dynamics of autophagosome formation. 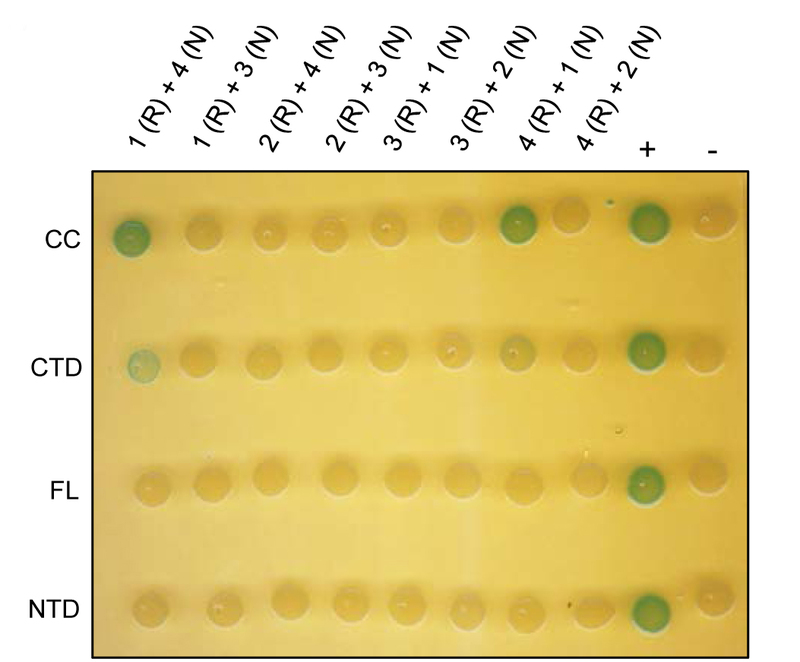 ATG2A localizes to isolation membranes and lipid droplets. 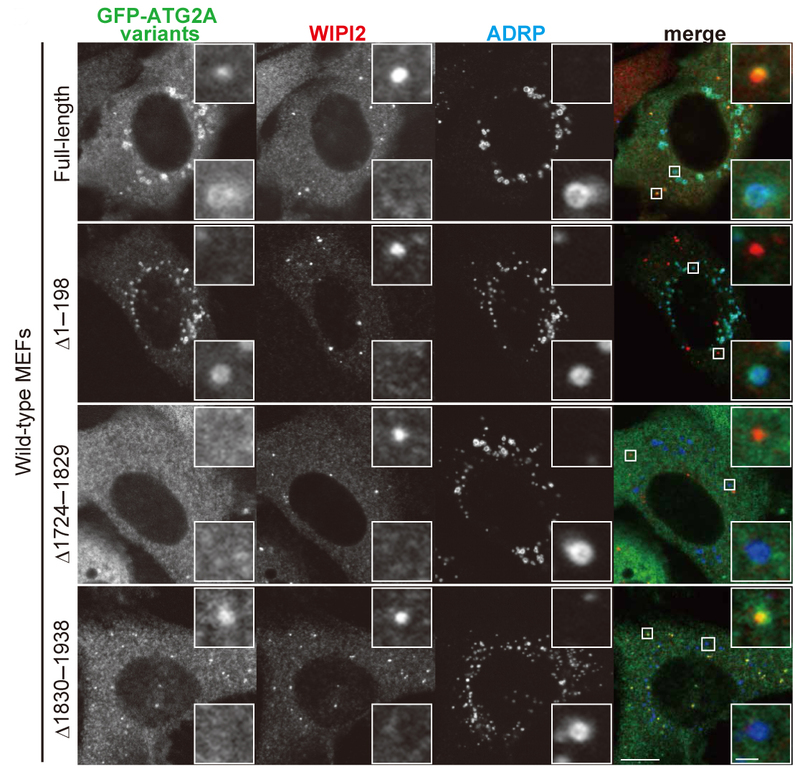 Here, using truncation mutants, Mizushima and colleagues determine which domains of ATG2A mediate its subcellular localization and function in autophagosome formation. Autophagy-related 9 (Atg9) is well established as a central player in autophagosome formation. An autophagy-independent role for Atg9 in lysosomal proteolysis is reported here. 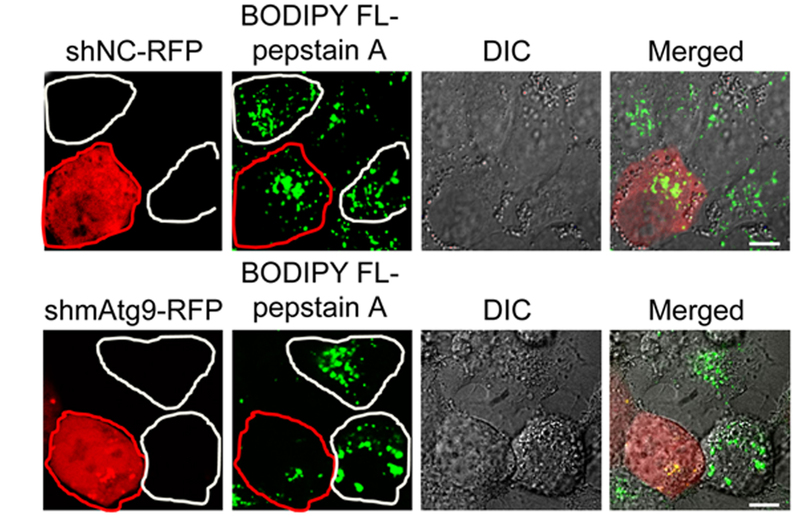 Lysosomal maturation of the major lysosomal protease Cathepsin D was defective in Atg9-deficient cells due to impaired post-Golgi transport. mATG9 phosphorylation by Src kinase facilitated interaction between the cathepsin receptor CIMPR and clathrin adaptor complex constituent AP1, and subsequent polymerization of the latter. In Archaea, the exosome is a protein complex performing 3'-5' degradation and 3'-polyadenylation of RNA. Here, the authors identify Nop5, previously known as a subunit of the RNA methylation complex, as a partner of the archaeal exosome. Nop5 was shown to directly interact with the exosomal core component Rrp4 and promote RNA polyadenylation.